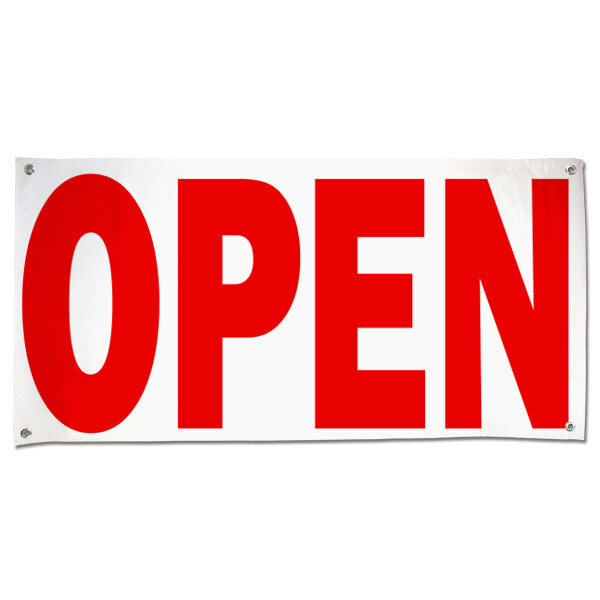 Every business needs an Open banner! 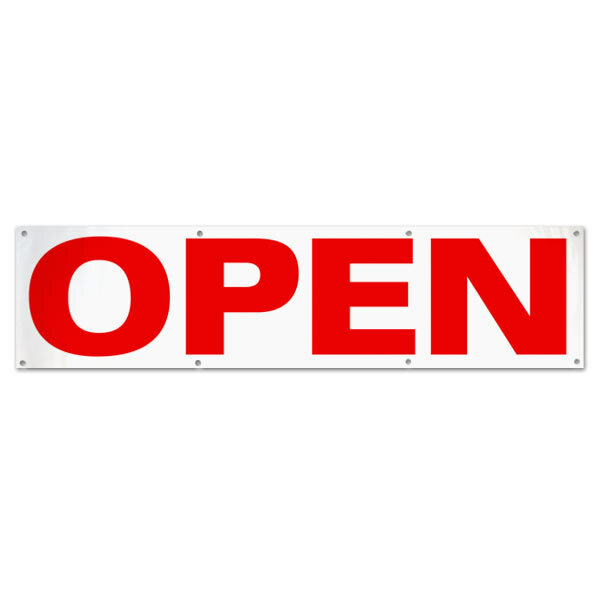 Make sure potential customers know that your doors are open each day and ready for business! Our vinyl banners are perfect for display in storefronts or outdoors on your business's exterior. Furthermore, they are easy to order with no customization process. Just choose a banner size, place your order, and have it delivered to your home or business! Just open your business and want to lure customers through your door? Order now open banners cheap from Print Shop and have them conveniently delivered right to your door! They're a quick, easy way of getting your store, office, or restaurant started off on the right foot!